Unpopular opinion time! I disliked this book. Not a big fan of this book at all. I’ve read books by Jenny Han before, and that was a while ago, I just don’t think I’m a big fan of her writing anymore. I feel like my critical reading has gotten a little better over the last year when it’s come to reading books. I’m pretty sure if I read this book when it came out, I might have loved it. 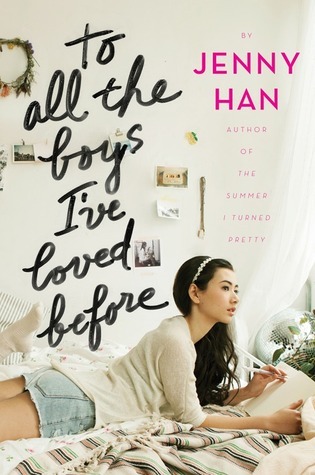 To All The Boys I’ve Loved Before follows Lara Jean, a girl who has written five love letters to boys she’s once loved. Somehow, her private letters get sent to the boys. She’s faced with how she’s supposed to handle this situation that only she, and now the boys, know about. She enters in a fake relationship with Peter, one of the lucky boys that she once loved. And could she honestly call it love though? It seems like it more of a crush. I think the word “love” is used in this book and I feel like none of the characters know what love is. Especially, Lara Jean. But anywho, in this fake relationship, their plan is to make Peter’s ex jealous and to make Josh (which is her sister’s ex boyfriend and one of the boys who received the letters) jealous also. Personally, I thought that entire idea was super childish. Let us fake date to make other people we care about jealous. I really hated this fake relationship through the entire book. I wasn’t comfortable with it. I got really annoyed with it when Lara Jean’s feelings for Peter started back up and she was doing everything she could to make him angry. Lara Jean has no idea how a relationship works and so Peter should have just left her annoying self, even though it was “fake”. The only aspect I liked about this book was the family relationship. I love that Lara Jean and her sisters are really close. Their mother passed away so Margot, the eldest, basically took the roll as mother. When she moves to Scotland for college, their relationship kind of dwindles. Naturally. 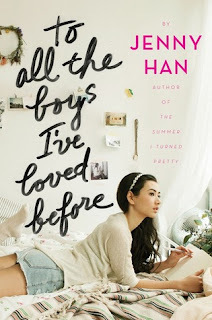 As she’s gone, Lara Jean is supposed to step up. She does a crappy job at it. Like, she can’t even drive. She was way too reliant on her sister to do everything. Her younger sister, Kitty, was smarter than her. Anyway, I loved how close they all were in the beginning. This book shows you how siblings are. Like when you’re mad, you tell your parents what the other sibling is doing out of spite. The ending was absolute garbage. I understand it’s left like that so you’ll pick up the next book. (Which I may not pick up for a while.) I just really feel like there’s going to be an even bigger love triangle than there already is. I just don’t know if I can handle it. This book made me a bit cringy with the “love” aspects. Lara Jean, why are you still pining over your sister’s ex boyfriend? That should be 100% off limits to you girl. I also feel like Jenny wrote Lara Jean as twelve-year-old. Like, she’s such a naive girl and she seems a bit lost. She talks very childish. I wish she was written as a mature girl. Instead of this girl who can’t seem to grow up. I wanted to like this book so much. There is so much hype surrounding this series. I still do plan on watching the movie when it comes out. Just to see if it’s as cringy as this book is. Look forward to that review in the future.